In previous years, I have been a huge proponent of getting rid of many Sabres due to lack of production. This season, as in past seasons, disappointment seemed to find it's way through many of their 2nd and 3rd lines. But after taking a step back, seeing the dismissal of PH, and seeing the success of previous Sabres on other teams, I think withholding judgement may be in order. Risto: Was one of the "stubborn" players Bots was talking about during last off season, and his locker cleanout interview recently showed he wasn't a fan of Housley's system or culture. In two years with Disco Dan, Risto was a total -30. 2 years w/ PH, he was -66. His shot % dropped below 3.2% for the first time in his career. He was always paired against the opponent's best line, and he wasn't the only player on the ice. His work ethic cannot be questioned, yet PH system didn't work for him. We can send him off to another team for a scoring 2C and watch another former Sabre succeed, or allow a new coach use him and play to his strengths and sign a 2C via free agency or through trading another piece. Sobotka: Yes, I was one of the many who said just shelf the guy in January. But he came out and said PH was using him in a different role, which curtailed his scoring. Square peg meet round hole. He went from 11/20/31, -6 in St. Louis to 5/8/13 -20 in Buffalo. He took half as many shots in Buffalo this season (71) than he took in St. Louis last season (131). I"m a bit skeptical in blaming Sobotka cuz of the result of ROR for the Blues. 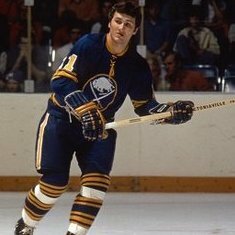 Here is a guy who was 24/37/61 -23 in Buffalo and deemed the problem to 28/49/77 +22 in St. Louis and deemed a leader. That's a 45 plus/minus jump. Many fans wanted ROR shipped out. That's a whole 'nother post. Okposo: Here is a guy who this past season had his lowest goal and assist total in a non-strike season since 2010-2011. He was -7 in one year w/ Disco Dan, and -43 in two years with Housley. Some may contribute that to his age, and the fact he was recovering from a serious concussion two seasons ago, but the negative attitude in the Sabres locker room and lack of a true 2C probably had more to do with that than anything. Keep in mind earlier in the season during the Sabres stretch run in Oct/Nov he was 5/6/11 in 15 games, yet 8/5/13 from January 1st on. I think a solid 2C and a new coach and system may turn his numbers around. Scandella: He also struggled in PH defensive scheme, with horrendous give aways and bad decisions. But I think he was another player who didn't work well in PH system. He had double digit assists in 4 of his last 5 seasons until putting up a measly 7 this year. His shot total went from 138 last year to 83 this season. I believe he was another player who the culture took a toll on him. Hutton: Here is a guy who stood on his head on many nights, yet went from 17-7 w/ 2.09 and .931 last season in St. Louis to 18-25 w/ 3.00 and .908 this year. He was left out to dry on many nights. Although he played almost twice as many games w/ the Sabres than last year with the Blues, a better team in front of him would have helped his numbers greatly. Also, when you look at Lehner, who openly criticized the Culture in Buffalo, went from 14-26, 3.01 .908 w/ Sabres to 25-13, 2.13 .930 w/ NYI this past season. Almost mirror images of the same player with a different team. Is it the player, or the team? I'm not a GM, and I'm not saying "keep everyone for another year". Change is good. But before we cast off players who were the ire of our fury and have struggled this season with a coach that clearly was in over his head, I think it's important to take a deep breath. Last year a fan posted that they ran into the parents of Justin Falk while on vacation. The parents stated that Housley was soft on veteran players, and was afraid to bench or ride them when they underperformed. Looking back on that today, PH record and on ice performance reflected that softness. This team simply lacked mental toughness through adversity. They talked about it last year, and it still was an issue this year. It wouldn't surprise me if he lost the respect of the locker room because of it. I just hope Bots doesn't react and pull another ROR based on the performance of a player in a system that lacked structure and a culture that lacked discipline. Would I want to see another high scoring 2C or 2Winger? Of course. But if that happens, and then that player underperforms here, are we going to go through the blame game with them again and trade them away? Or do we look at the bigger problem, which is the voice and direction they are following? It's a difficult decision until we have the new coach. Presumably he will have an idea and a methodology that JBot approves of and he will want a roster to fit that method/style. So I really can't comment on who should go without knowing what that coach brings. A guy like Sobodka for example was pretty useless for Housley's style but I think he could still look okay on a third line for the Islanders or maybe Washington. So at this stage all I can say is just add talent in free agency and see how it shakes out. That fan was me☺️ Looking back on it, I am not surprised that PH was not successful and I really hope a new voice can make a big difference with this team, because from a talent/draft position perspective, they should be in okay shape! The popular wisdom on this forum was that player usage was one of XHCPH's weaknesses. The examples in the original post point to that. I know that Berglund "didn't seize 2C" but I think he should have been given that line and let Mitts play 3C, if not the whole season, at least to start. Putting Mitts at 2C was putting him in a position to fail. I thought his utilization of Angry Larry and Girgs on the 4th line was fine, but they needed a bit more offensive talent on that line. Defensive pairings were inconsistent at best; just when something seemed to be working right XHCPH would change it up. It's hard to blame him for defaulting to Skinner-Eichel-Reinhart though; the Sabres just didn't have enough Top 6 talent this year. So I'm hoping that the new coach looks at the pieces he's got and tries to leverage their talents to maximum effect by setting up a system, but then adapting the system to the players instead of the other way around. I think the good news is that knowing there were player usage issues, a new coach is not going to keep all the roles on the team the same and we should see some new combinations. If we end up with a competent 2C this year I like the thought of flipping Olofsson and Skinner (should he be signed) between 1LW and 2LW to keep things fresh. I also hope that we end up with something similar on RW- a 1A type winger to alternate with Reinhart. Maybe that's Nylander; not sure. In general it will be interesting to see what the new coach does with the wingers in the Top 9.